It has been a quiet week for me as far as blogging goes. I decided that as I was having a week off work then why not have a week off from Blogging and all that goes along with it. It has been very nice to get up in the morning and not reach for my phone straight away. I think it is something that many of us do out of habit rather than just to check on our various social media accounts. A nice quiet coffee or two seemed in order as well. So while I have been off, I managed to get out in the garden and finish weeding the flower beds and getting the veg plot dug over again. I’m still not willing to plant anything out at the moment as the weather can still change. so I’m erring on the side of caution. Something the rhubarb is not aware of at the moment as it’s shooting away. This is the second in the series by this author, although the blurb states it can be read as a stand alone, I think it is better read in order. Maybe this is because its how I have come to this series. It builds on the characters and the story from the first book Fox Halt Farm. My review for this will be as part of the Blog Tour. This is another in a series book, and because I have not read any other books in the series, I can say this works very well as a stand -alone. I do have the first book on my kindle though 🙂 This is such a fun read, it has so many things that I loved. Pets, friends, old flames, moving forward and just a really good feel good read. Look out for my review as part of the Blog Tour. This is another book I read for the up coming Blog Tour. Now this is one I saw as I was passing through FB, and saw there was a space going on the tour, and decided it was one I fancied. 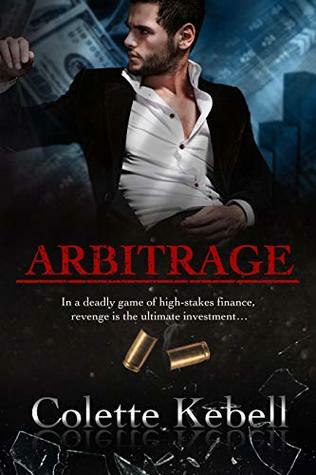 This is a financial thriller, the world of Russian Mafia, money and deals. This is a fab read and one that I was a bit worried about. I though it might have been full of too much jargon, but this was not the case. This is one from my own shelf and it’s books like this that make me wish I could retire or win the lottery and retire so I could read all day. This is such a great story, the plot is yummy and dark, devious and twisted. But for me the real star or I should say stars were Washington Poe and Tilly Bradshaw. The contrasts between these two characters is outstanding and they have been worked so well into an amazing story. A cracking read. Review will follow soon. I am delighted to be sharing my review for Rosie’s Travelling Tea Shop by Rebecca Raisin. This was the absolutely perfect pick-me-up read, I have been reading some quite dark, heavy books just recently and was looking for a lighter entertaining read, this book was exactly that and more. My thanks to HQ Digital for accepting my request to review this book via NetGalley. Heartbroken and devastated, Rosie drowns her sorrows in a glass (or three) of wine, only to discover the following morning that she has spontaneously invested in a bright pink camper van to facilitate her grand plans to travel the country. As soon as I saw this cover and then read the synopsis I knew I needed to read this book. After being dumped by her husband on her birthday, Rosie makes the best drunk purchase ever… well in my opinion she did. A bright pink camper van!!! Awesome!!! It made me want to break out the wine and see what I could drunk purchase, though I’d probably end up with a packet of out of date cereal! I have to say this book was absolutely brilliant. Rosie is a driven career woman with her life planned out. She does have a bit of an O.C.D thing going on with her planning, routines, cleanliness, order and everything being in it’s place. Not a bad thing at all, but it leaves little flexibility in her hectic scheduled up to the eyeballs life. The arrival of the pink camper van was something that completely went against the grain, it makes her stop in her tracks and think about her life, what she wants and, what she wants others to see in her. The author took me on a road trip of festivals, with mouth watering food, drinks and fabulous company. Rosie is having to adapt to living day to day, going with the flow, rather than the planned out one she was originally aiming for. With her career in catering, the obvious choice for Rosie’s van is… yep a Travelling Tea Shop. Specially hand blended teas and an assortment of foods that are food for the soul rather than the high end cuisine she has left behind her. Along the way she finds the perfect travelling companion, they make a amazing combination with Aria, a contrast in many ways to Rosie, but this combination both in personalities and also in how the vans compliment each other is great. I also want to mention Max, the authors description of him…mmmmmmm… there are a few other characters that add there part to this story and help keep the story flowing as the travelers take the vans on tour. In case you had not realised, I loved this book a huge amount. For me it was just the perfect book for lifting the spirits and it was so easy to forget about the world while I sat and read it in an afternoon. I would love to see a follow up for this book. This is the first time I have read anything by this author and I am pleased to see there are several books already published… bookworm happy dance… although I do have a couple that I bought a while ago that are sat on my kindle . I think this is a conversation many couples may have had. I for one believe that if I go before my husband then he should move on, find happiness and live his life, that’s if anyone will put up with lol… and he shares the same sentiment. Everyone, however, is different and I don’t believe there is a right or wrong in whatever anyone believes or chooses because at the end of the day it is the choice of the couple and the individual. So this book definitely has an interesting base to work from and for a 151-page story, I found myself caught up in it. It is an easy to read story as I got to know Theo and his immediate family and the spirit of the dead Letitia. I discovered how after many years Theo has indeed moved on and forgotten about his promise, Letitia, however, has not. She begins to make her feelings known in some very dark ways. Love, life, and death are the main focuses in this story and I thought the author did a great job in such a quick read. It moved along at a gentle, easy flowing pace and it was perfect to read in one sitting. There is a proverb that states “Hell hath no fury like a woman scorned” and this is so appropriate for Letitia. This is a book that I think would go down well for discussion for Book Reading Groups and it is one I would definitely recommend. I am a divorced mother of two adult sons and I have three lovely grandchildren. I was working as a learning support assistant in a mainstream high school when I became ill with ME (also called chronic fatigue syndrome) in 1995. I have since written ten novels and two memoirs and Song of the Phoenix although the fourth to be written is the first to be published, mainly because the first three are more or less a trilogy. Writing has kept me sane through what is an extremely debilitating and isolating illness and my aim is to earn my living from it. Today I have my review for the fabulous Dear Rosie Hughes. I have to say a massive Thank You to the wonderful folks at Harper Impulse and Killer Reads for asking if I would like to read this book via NetGalley. An absolutely wonderful read from start to finish. It’s been fifteen years since Aggie’s friendship with Rosie Hughes ended abruptly. But now she’s heard from the village rumor mill that Rosie is off to war, she knows her best friend needs her more than ever – despite what’s happened between them in the past. The synopsis hints at the story, a story of friendship that has drifted and has now been reignited. The whole story is told in a series of emails, letters, and messages. They tell the lives of the characters involved. I picked this book up only meaning to read a few chapters… I read the lot in one go it was that good. The friends are Aggie and Rosie. They reach out to each other across the miles and rekindle a friendship that ended abruptly. They discuss their lives and loves, experiences and settle misunderstandings. The story as I have said is a series of messages, letters and each is time and date marked, I saw these as unconventional chapter headings. The author has created such a wonderful story that just enveloped me and with such a distinctive style. When I started I wasn’t sure how this would reach me on an emotional level… how wrong was I! It touched my heart in a huge way, and even now as I sit here typing I can feel that lump in my throat and tears at the edges of my eyes and I read the book several days ago. This is a book that is obviously going to stay with me for a long time, it is a very special book. As the story made its way, I found that Aggie and Rosie still had a strong, if somewhat tentative at the beginning friendship after a 15-year break. It is one of those situations where I felt that even though they had been apart for many years they were able to pick up where they left off. Yes, they had drifted apart, almost like they had hit pause and were just waiting for the moment when they both needed each other and play could be pressed and all would resume again. This is a story that made me smile, snigger and sob buckets. It ticked so many boxes without me realising it, I was absolutely absorbed and hooked by this beautiful story. It is one that I would highly and abso-flamin-lutely recommend. Today I am delighted to be sharing my review for The Talisman – Molly’s Story by Eliza J. Scott as part of the Blog Tour with Rachel’s Random Resources. Many thanks to Rachel for the invite and to Eliza for my e-copy. When Molly was a teenager she helped out Camm, a young gypsy boy, in return he gives her half of a talisman. He tells her they will meet again in the future. Years go by and she forgets about this encounter, Molly marries and has children, she has a wonderful life and is definitely part of the community that lives and works on the Yorkshire Moors. A hard life but full of love and happiness, a life that is complete. I have to say that Molly is a brilliant character, fiesty to say the least, able to lower the tone of most conversations at the drop of a hat and someone I think I would definitely get along with. She has a great group of friends and family around her, a tight-knit group that are an absolute hoot. This closeness is something she will need and rely on to get her through and will keep her going when her world comes crashing so unexpectedly down around her. The story itself has a real great feeling of togetherness, that is in the sense of living and working together. A story that had me snorting with laughter at some of the random characters and their antics. For example, the fumble-fingered text messages then there is Reg the Rooster and his determination to name a couple. Mixed in with the friendly characters, there are a couple of undesirables who keep popping their heads up on occasion. The Yorkshire dialect features in the writing of this author in conversations. It is something I really like in a book and it helps to keep the setting and the characters firmly in the “where they are”. There was the odd word that stumped me but luckily there is a glossary at the end. From the outset, I knew that something was going to happen. I thought I would be prepared, but Oh my goodness I was so not prepared in the slightest . The author really did pull my emotions and left me with leaky eyes on more than couple of occasions. The sense of loss and grief really did come through and it made its presence felt. The moving forward in life for all concerned was another aspect that again the author did a great job with. She managed to capture the emotions, the changes to daily life and adapting to challenges as they appeared. Dilemmas, decisions, feelings, and family again played a very big part. This is a story I really did enjoy, a story of family, friendship, life, love, and living. One I would definitely recommend.